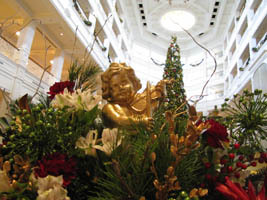 Disney’s Grand Floridian Resort (below, left) is quite festive for the holiday season! 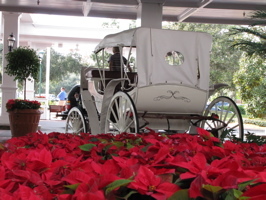 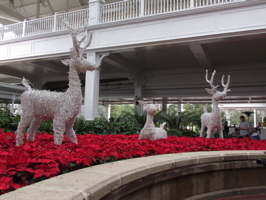 Deer rest in poinsettias (below, right) at the front entrance to the resort. 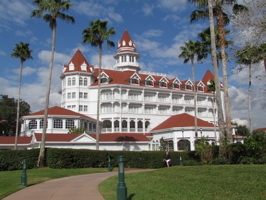 We also have full coverage of the recently announced Grand Floridian DVC Villas expansion HERE.